PASADENA, Calif. -- Scientists working with the 230-foot-wide (70-meter) Deep Space Network antenna at Goldstone, Calif., have generated a short movie clip of asteroid 2005 YU55. The images were generated from data collected at Goldstone on Nov. 7, 2011, between 11:24 a.m. and 1:35 p.m. PST (2:24 p.m. and 4:35 p.m. EST). They are the highest-resolution images ever generated by radar of a near-Earth object. The short movie clip can be found at: http://1.usa.gov/uVJvmS . Each of the six frames required 20 minutes of data collection by the Goldstone radar. 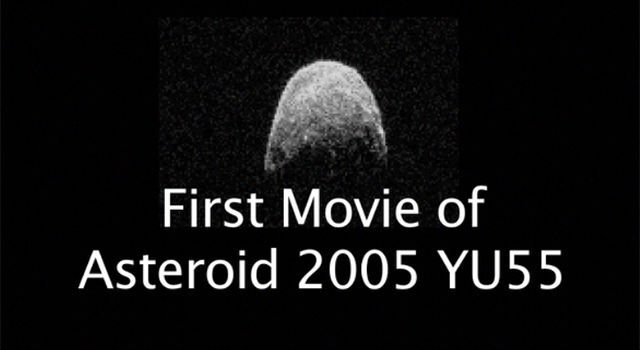 At the time, 2005 YU55 was approximately 860,000 miles (1.38 million kilometers) away from Earth. Resolution is 4 meters per pixel. "The movie shows the small subset of images obtained at Goldstone on November 7 that have finished processing. 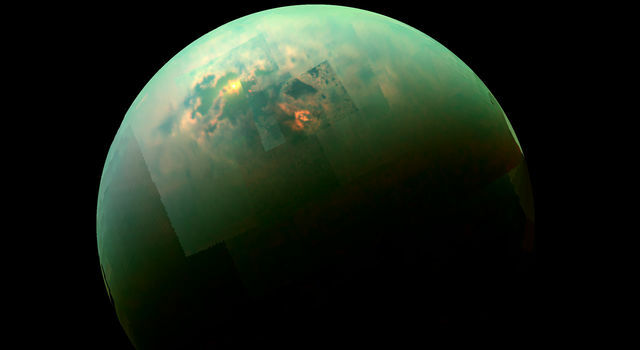 By animating a sequence of radar images, we can see more surface detail than is visible otherwise," said radar astronomer Lance Benner, the principal investigator for the 2005 YU55 observations, from NASA's Jet Propulsion Laboratory in Pasadena, Calif. "The animation reveals a number of puzzling structures on the surface that we don't yet understand. 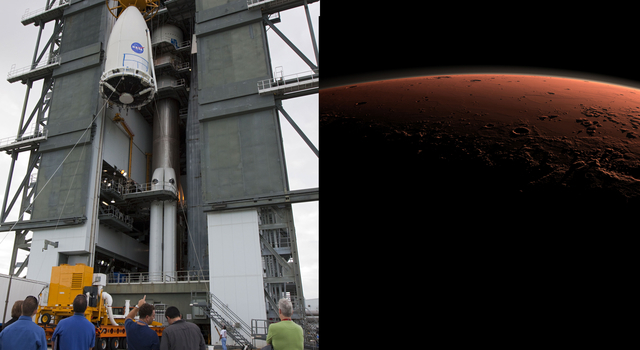 To date, we've seen less than one half of the surface, so we expect more surprises." The trajectory of asteroid 2005 YU55 is well understood. At the point of closest approach today at 3:28 p.m. PST (6:28 p.m. EST/2328 UTC), it was no closer than 201,900 miles (324,900 kilometers), as measured from the center of Earth. The gravitational influence of the asteroid will have no detectable effect on anything here on Earth, including our planet's tides or tectonic plates. Although 2005 YU55 is in an orbit that regularly brings it to the vicinity of Earth (and Venus and Mars), the 2011 encounter with Earth is the closest this space rock has come for at least the last 200 years. More information about asteroids and near-Earth objects is at: http://www.jpl.nasa.gov/asteroidwatch . 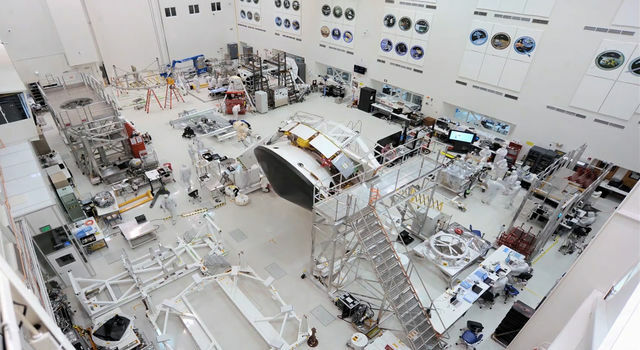 More information about asteroid radar research is at: http://echo.jpl.nasa.gov/ . 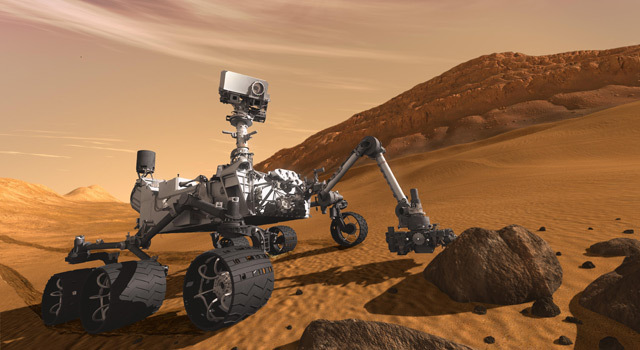 More information about the Deep Space Network is at: http://deepspace.jpl.nasa.gov/dsn .